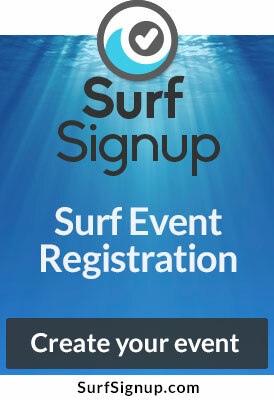 Scholastic Surf Series is using SurfSignup to improve the registration process for both coaches and students. This system is used by nearly all the amateur surfing organizations in the US and many of the competitive students will already have an account. Parents create an account or login if you already have one. Add your child(ren) under your account. A background check is required for anyone that will be alone with kids at any team activity. The background check service link will be at the end of the school and coach info form and will take about 8 minutes with a $20 charge at the end. Note: Before you can administer a school, you must have an account with administrative access. If you need to administer a school, create an account with Surf Signup and email [email protected] with a request to get access to school’s account. More info on managing your team account.